Coma Killer - What is coma? It’s not some sort of astronomical state of unconsciousness. It’s an optical aberration. Precisely defined, coma is a distortion in which the image of a star cannot be focused to a point, but takes on the shape of a comet. 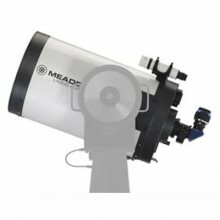 Click the button below to add the Meade 16 Inch LX200-ACF Advanced Coma Free OTA w/UHTC Coatings to your wish list.